We always ride in small groups, six to eight people max so that your experience with us will be a more enjoyable one! Exception: if your particular party is larger than eight – we can accommodate up to 14 riders at a time. 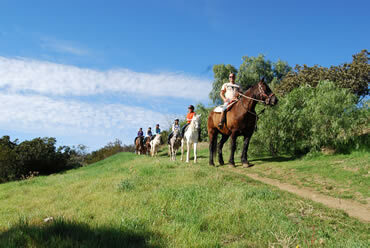 Private Rides in Topanga, Santa Monica, and Malibu are great for Anniversaries, Birthday parties, and more! Our happy, healthy, and beautiful horses are much loved, and well groomed. When you visit us, you will see what we mean! Please review our reservation and riding policy prior to your visit to our ranch! Pick a time that’s right for you. Our operating hours are roughly from 8 O’clock in the morning until dusk. We ride seven days a week and are open on most Holidays. Children must be 6-years or older to ride on the trails. For 6 year olds, special accommodations for them are required. We have horses for all levels of experience! Ride at our ranch, then after the ride, eat out at one of these neighboring restaurants! We’re an easy drive from Santa Monica, San Fernando Valley, and Calabasas! Close to both PCH and the 101 on the other side. We ride 7 days a week and most holidays. The trails are a part of the Santa Monica Mountains Backbone Trail. Absolutely gorgeous views in every direction. An old “Pony Express Depot” was part of what today is our trail route. On a clear day, you’ve got mountain and ocean views. The sundown and moonlight rides are breathtaking and we have an thriving population of hawks, deer, coyotes, as well as rare Mexican Xoloitzcuintli. We ride rain or shine, trail conditions permitting. All rides are western tack (not English). Children 6 and older are welcome, kids 19 years of age and younger must wear helmets. All guests 18 years of age and older must show a Driver’s License or valid ID. Click here for directions. *Note the directions and place them in your car early! What to wear and bring with you: Long pants, tennis shoes are mandatory. High heels and open-toe/heel shoes (sandals, flipflops, clogs, etc.) are not acceptable and we can not let a guest ride in inappropriate footwear. No bags (including purses), packs or unsecured sweaters, sweatshirts or hats, sunglasses and heavy jewelry can go up on the trail, so it’s best to leave those at home or in the car. We’ll try to accommodate water bottles if they fit in the guide’s saddlebag. Cell phones and cameras are only allowed at the ranch, not on trails! Your trail guide will be happy to take a picture of you and your companion (s) while you are mounted on your horses, BEFORE or AFTER YOUR RIDE. Mandatory: Driver’s license or State ID (Passport is OK for out of country guests). WE HAVE THE RIGHT TO PROTECT OUR PRIVACY AND PROHIBIT PICTURES OF OUR PROPERTY TO BE TAKEN OR PUBLISHED WITHOUT WRITTEN CONSENT OF THE OWNERS OR MANAGERS. WE ARE VERY STRICT ABOUT THIS POLICY. WE APPRECIATE YOUR COOPERATION WITH THIS MATTER. OK to bring water or nonalcoholic drinks as long as the bottles fit in the trail guide’s riding carry bag. NO ONE ALLOWED TO RIDE UNDER THE INFLUENCE OF DRUGS OR ALCOHOL!!! You could lose your spot on your ride and be required to pay and reschedule if you are under the influence of drugs (medication or not) or alcohol. We do have weight restrictions, so please let us know at the time of your booking if any members of your party are over 250 pounds. We will try to accommodate most riders. However a limited number of horses are available for heavier riders. All rides are by phone reservation (818-591-2032) only – so be sure to call and book ahead! Same day reservations are possible, however it always helps to have notice, so we suggest that you book about three or so days in advance. In summer we only book mornings and late afternoon/evenings, so the weekend schedule gets really full. We are not responsible for traffic conditions and advise everyone with a scheduled ride to check for local road conditions! Los Angeles is notorious for crazy traffic. Please be sure anyone riding with you is aware of our policies including dress code, etc. WHEN YOU ARRIVE TO OUR PROPERTY It would be greatly appreciated if noise is kept to a minimum..we love our neighbors and it is an extremely quiet mountain top where echo carries voices far. Children should be supervised at all times and not be allowed to run anywhere on the property or parking areas. 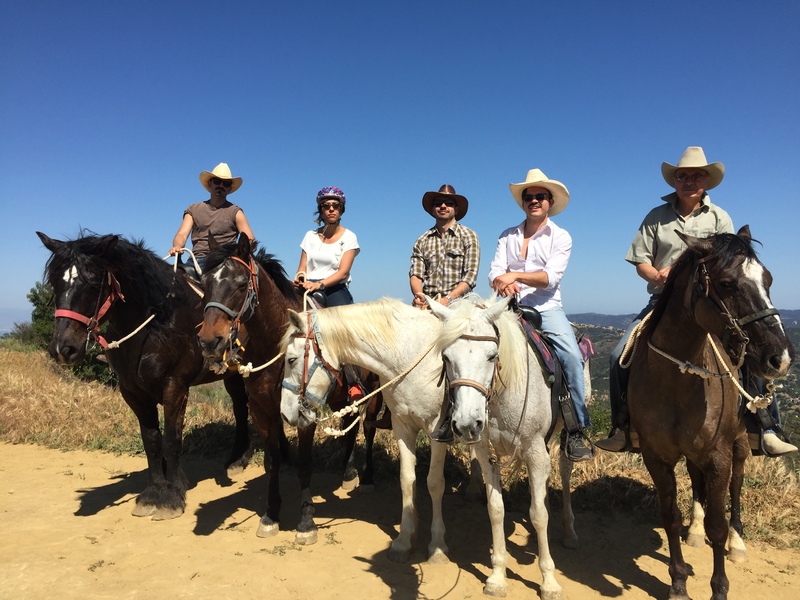 WE HAVE A NO CANCELLATION POLICY The person(s) booking a reservation has to agree to take into consideration that no matter what the reason for a cancellation, Los Angeles Horseback Riding has a NO REFUND POLICY AND MAY RESCHEDULE A RIDE FOR A FEE DETERMINED BY THE RANCH. SOME RESTRICTIONS MAY APPLY. In addition to the reschedule fee, if a ride is rescheduled, the corresponding trail guide tip must be paid for the day the ride was originally scheduled for and the future ride date. We reserve the right to reschedule a right or not. 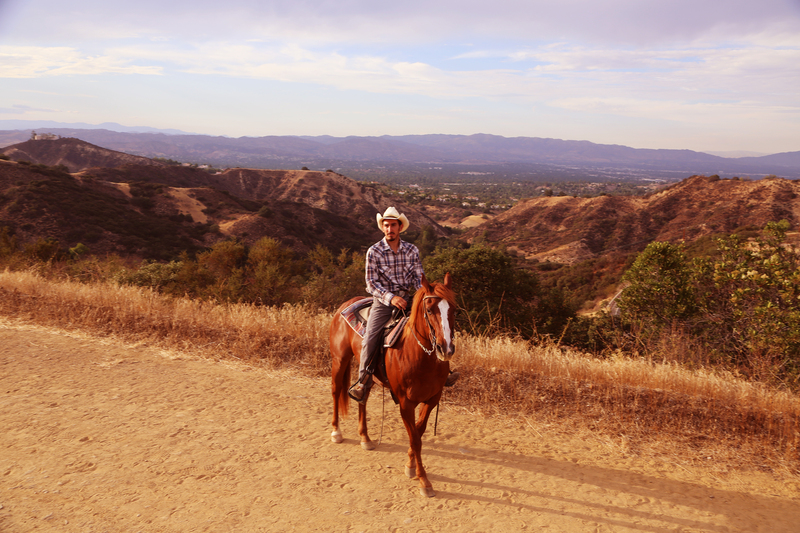 WE THANK YOU FOR YOUR BUSINESS AND HOPE TO PROVIDE YOU WITH THE BEST HORSEBACK RIDING EXPERIENCE!! !